So, You’re a Bitcoin Millionaire! Now Where Do You Invest? If you’ve made a profit from Bitcoin and other cryptos, congratulations! You’re obviously a smart investor who spotted a trend early on and was able to profit. Hats off to you. But now it’s time to take some profits — right? If you were smart enough to buy in early, you’re smart enough to know that it’s not a profit until you take it. You also know that asset prices don’t rise forever, no matter how revolutionary the technology. Yes, some cryptos will gain widespread acceptance and use, but most won’t. Yes, the technology is here to stay, but that doesn’t mean prices will rise indefinitely. Yes, it’s a whole new industry that will continue to grow and evolve, but that doesn’t mean you’ll make a killing forever. Yet some people still fall into the trap of thinking that, because an investment is doing so well, they should put even more into it. Maybe that’s why people are still asking us, “How do you buy Bitcoin?” But for those who got in early, “How do you sell Bitcoin?” is also a prudent question. Remember: Until you book a profit, it’s only a gain on paper (or digitally). It’s important to sell some of your position to lock in a gain. Looking at other boom assets and the resulting busts can show us why. Remember that famous line from the movie The Graduate? “One word: plastics.” Getting into that industry early made many people wealthy. And the story of Jed Clampett discovering black gold on his property when the oil boom was heating up? The account may be fictional, but plenty of people just like that ended up becoming millionaires. These were new technologies that changed the landscape in their day, and are still with us today — but the prices of those assets didn’t rise forever. The big and easy money in plastics is long gone. Oil is priced at less than half of its 2008 high. The same is true of all new technologies — prices eventually roll over. The technology advances, but prices peak and eventually fall to an equilibrium. Computers and the internet were new technologies that forever changed our way of life. But the stocks didn’t rise forever. In fact, the tech bubble became the tech wreck, wiping out much of the gains investors were sitting on. 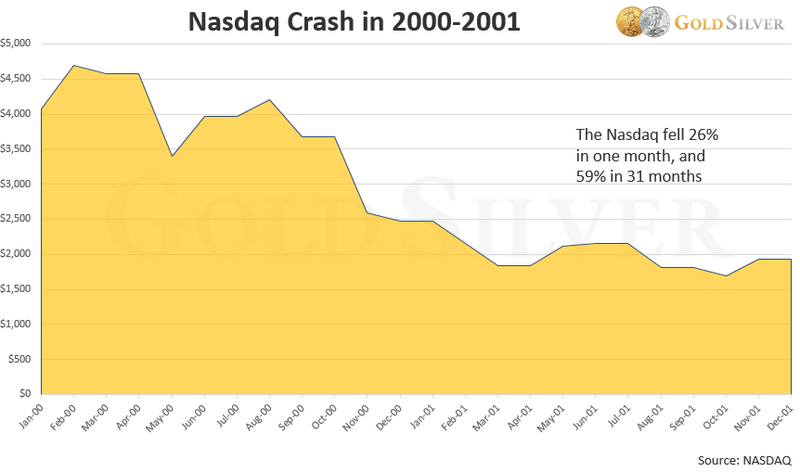 Worse, it took the NASDAQ more than 14 years just to climb back to its 2000 nominal high. Those that didn’t take profits from that industry ended up losing their paper riches. The price of oil has soared and crashed numerous times. 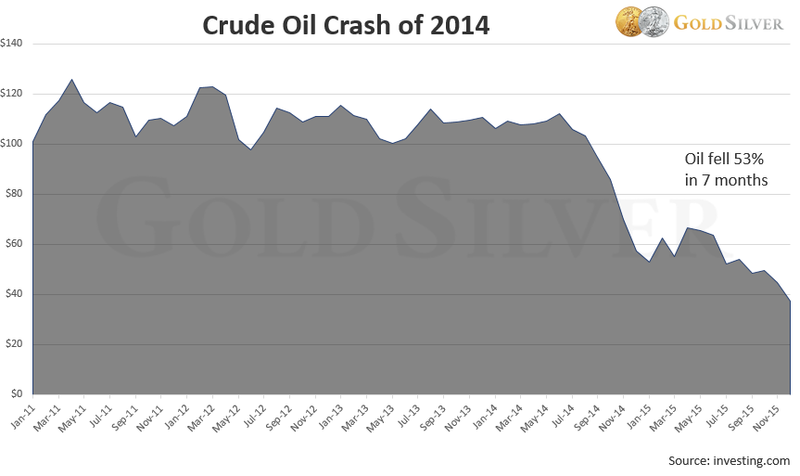 The 2014 crash shown here was the most recent. If you owned oil or oil stocks in 2014 and didn’t book some profits, you lost most of your gains. The financial crisis of 2008-09 erased all the gains from the prior eight years — unless you took some profits off the table. 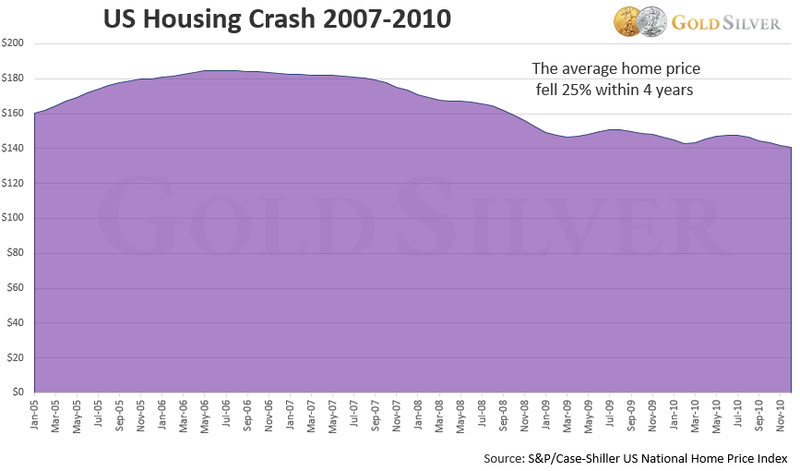 Even real estate isn’t immune from bubbles and crashes. Numerous books and brokers praised the virtues of real estate — until property values crashed, devastating families, banks and the nation. 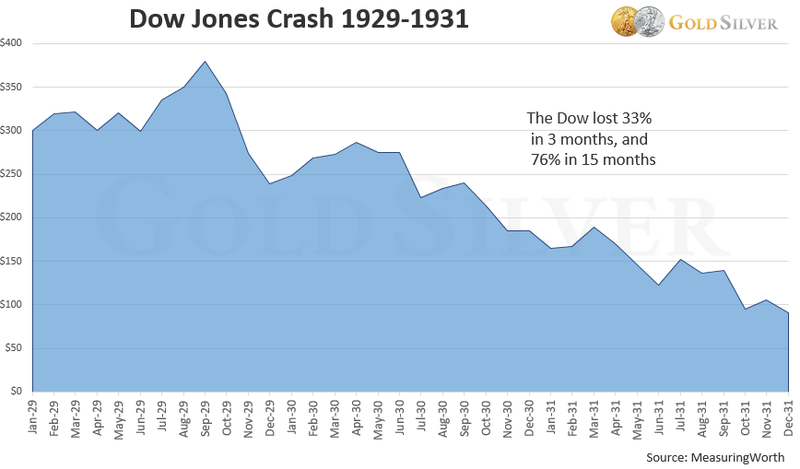 The Roaring Twenties led to the biggest stock market crash in US history. Those investors who didn’t book their gains were completely wiped out. In each of the cases outlined above, the explanation is the same. The price of all these asset classes got too frothy, despite many being new technologies or core assets of our society. Eventually, prices got too high and crashed. Most eventually rebounded, but the rebound took a lot longer than the crash. This has occurred numerous times throughout history — no asset has been immune. Will the cryptocurrency industry really be exempt? Keep in mind that many NASDAQ investors felt that way in 1999, as did real estate gurus in 2006 and stockbrokers in 2008. They were all too bullish for too long — prices didn’t go up forever — and those that didn’t take profits when they had them lost much of their investment. The lesson from history is that no bubble lasts forever. Even the “ascent of man,” perhaps the longest running “bull market” of all, has had devastating detours (the Dark Ages, the Great Depression, the Great Recession, to name a few). Cryptos are here to stay, no doubt. They’ll continue to evolve, and will alter the way modern-day transactions are done. But prices won’t rise forever. I encourage anyone sitting on big gains in cryptos to book at least some of your profits. You don’t have to sell off your entire stash, especially if you believe in the longevity of crypto technology. But even those who are in it for the long-term can avoid a rude awakening in the short-term by cashing out some profits now. That’s exactly what Mike Maloney did, as he explains in his video, $50,000 Bitcoin in the Next Couple Months? So where do you put some of those new-found profits? It’s no secret stock prices are frothy. The average house price is now higher than the bubble in 2006. And bonds pay next to nothing, and after a 36-year bull run aren’t exactly risk-free. So what do millionaires invest in? The reality is that saving and investing isn’t that different now than it was before you booked your crypto fortune. You still want to keep investment costs low, and you want to take risks when you have favorable odds. And above all, you want an asset that’s actually going to appreciate in value. Now, think about how your win in cryptos transpired. I’m willing to bet it happened from two primary things: 1) You put a fair amount of currency into them, and 2) You bought while they were priced low. It isn’t diversification; it’s concentration. Diversifying your investments will keep you from bottoming out, but it’s never going to lead to a windfall. It’s not about chasing an investment. If everyone you know is buying it, then it’s already too late. The biggest gains come when you buy low before it’s popular. So what’s out there that allows us to “buy low”? 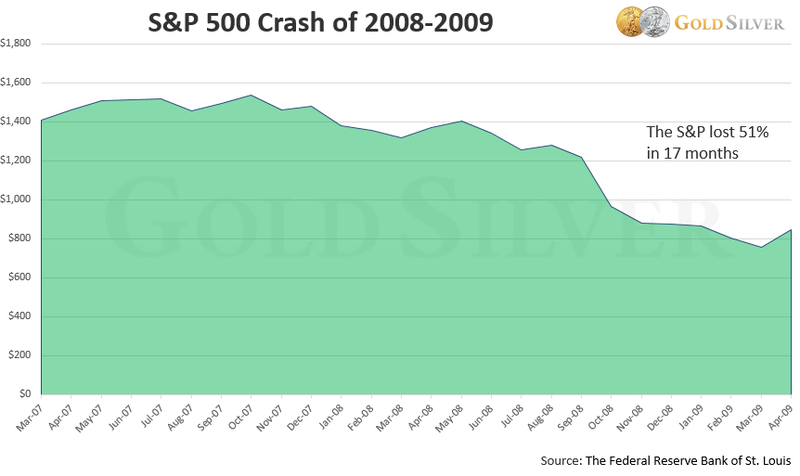 For the past year, the gold price has hung around one-third below its last peak, and silver nearly two-thirds. There is no major asset class out there that offers this level of deep value. And where could you concentrate a portion of your new wealth that isn’t already owned by lots of investors? 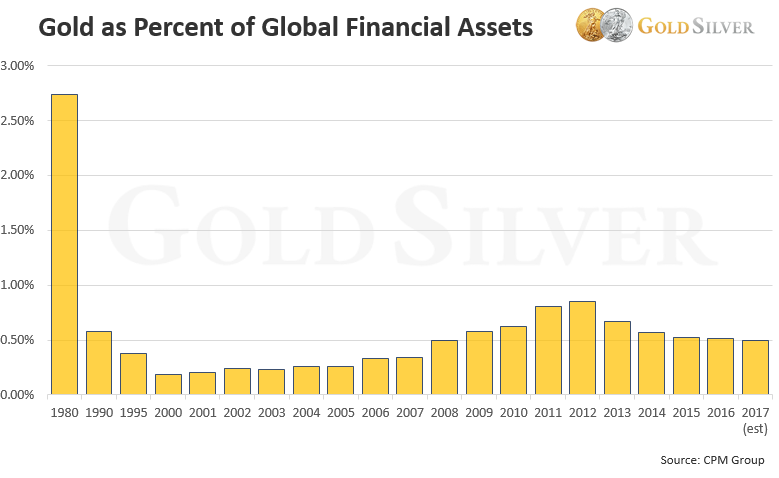 Gold represents just one-fifth of global assets compared to its 1980 peak. Further, I’ve seen no reputable report that claims any more than 5 percent of North Americans own any gold, with most reporting figures less than that. Clearly, gold is both undervalued and under-owned. Gold and silver qualify as one of the best ways to buy low today. Why not put some of your crypto earnings into precious metals? Especially when you consider the enormous upside we think is coming. One of the primary reasons cryptocurrencies are so attractive is because they share many of the same characteristics as gold. Bitcoin and other cryptos are divorced from the current monetary system, they’re discreet and they’re transportable, all just like gold. There’s good reason to own both. However, unlike gold, bitcoin and other cryptos are still in their development stage and thus subject to some growing pains, such as government intervention, low liquidity, limited acceptance and dependence on a functioning internet/electric grid. They are also still subject to malware and cybercriminals, which are definitely a growing concern for this industry. The Gold Eagles in my possession have none of these concerns. And here’s an interesting connection you may not have realized: cryptocurrencies need silver to work — cell phones, computers and laptops all use silver in their components. I encourage all you crypto winners to shift some of your profits into physical gold and silver. And you can do it all in one transaction. There are plenty of bullion options, including the Perth Mint’s newest coin and the classic Canadian Gold Maple Leaf. Both are beautiful, low-priced and serve as a tangible form of wealth that we’re convinced will grow enormously in value. I hope you crypto capitalists will join us for the next great financial bubble. 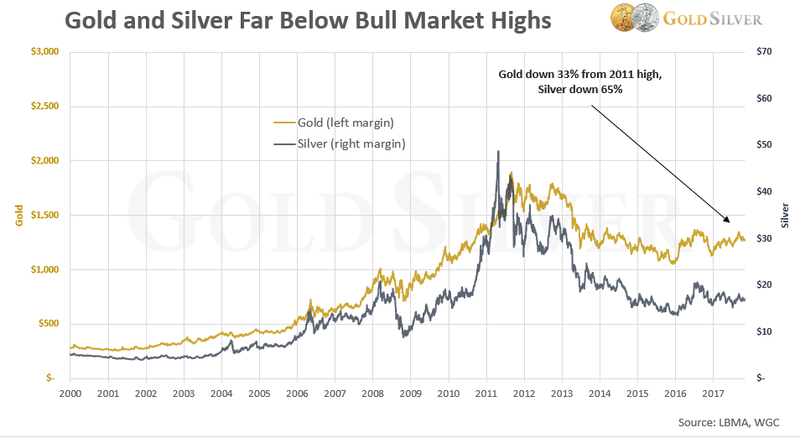 Gold and silver are the most promising assets in the market today — you can buy low, and they’ll someday soon sell at multiples of current prices. We think it’ll be a ride not unlike the one you’ve taken with cryptos.